Summary from Goodreads: Fourteen-year-old Luce has had a tough life, but she reaches the depths of despair when she is assaulted and left on the cliffs outside of a grim, gray Alaskan fishing village. She expects to die when she tumbles into the icy waves below, but instead undergoes an astonishing transformation and becomes a mermaid. A tribe of mermaids finds Luce and welcomes her in—all of them, like her, lost girls who surrendered their humanity in the darkest moments of their lives. Luce is thrilled with her new life until she discovers the catch: the mermaids feel an uncontrollable desire to drown seafarers, using their enchanted voices to lure ships into the rocks. Luce possesses an extraordinary singing talent, which makes her important to the tribe—she may even have a shot at becoming their queen. However her struggle to retain her humanity puts her at odds with her new friends. Will Luce be pressured into committing mass murder? 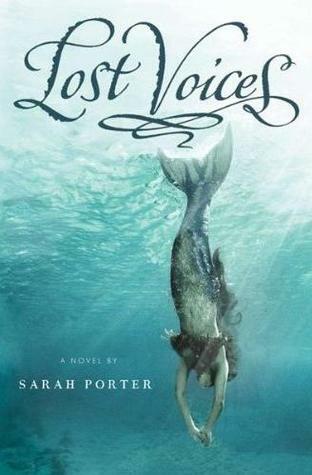 The first book in a trilogy, Lost Voices is a captivating and wildly original tale about finding a voice, the healing power of friendship, and the strength it takes to forgive. 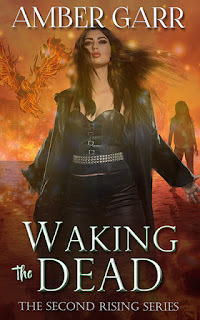 The Review: This was my first plunge into the mermaid genre after completing my series, and unfortunately, I have to say that this book was disappointing. Luce is a young teenage girl who’s had a tough life that changes drastically the night her uncle abuses his relationship with her for the last time. 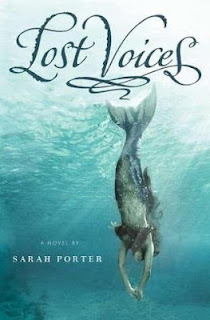 I liked Sarah’s take on how mermaids develop, and the mythology behind their tails and songs. I was glad to see that she answered some of my questions about abused babies and boys turning into mermaids as well, and despite some other reviews, I was okay with where she went with this. What I didn’t fully understand was what the mermaids gained from killing humans. I think perhaps this was because it was difficult to connect with the characters, especially with Luce. To me, her emotions kept wavering back and forth too much where one minute she was in love with her tribe and the next she wanted to leave. The other girls were bullies and I almost stopped reading about half way through. I kept waiting for something to happen…like an obstacle with a sinking ship or a dilemma with a human, but unfortunately the story didn’t really go anywhere for me. This is the first book of a trilogy, but at this moment, I’m not sure that I will continue reading. Although I will say that her second book has been getting better reviews, so maybe eventually I will come back to this series. The Good: A darker side of mermaid mythology with interesting world building. Beautful cover. The Issue: Aside from what was mentioned above, I had a really hard time with the writing style. Although sometimes poetic, I found that a lot of the flourish in the writing was unnecessary, especially in the POV of a teenage girl. There were too many instances where the similes just didn’t make sense and distracted me from the story. The Rating: Three conch - Sigh. I hate to say it…a good story but not great.